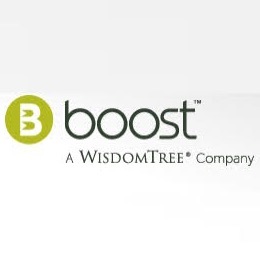 Boost ETP, a WisdomTree Company, ETF Securities and Société Générale have jointly implemented a consolidated ETP industry initiative in a bid to expand educational provisions on the benefits of Short & Leveraged Exchange Traded Products (S&L ETPs), according to an ETF Securities statement. The joint partnership and initiative pioneered by Boost ETP, ETF Securities and Société Générale will aim to arm investors with valuable information and understanding regarding the full usage and utilization of S&L ETPs. This includes, among other things, the ability to trade and hedge effectively given the shifting climate and risk-on mentality. Indeed, with a gradual return of risk appetite amongst European investors over the past year and a half, there has been a marked growth in the number of S&L ETPs across many asset classes, including equities, commodities, fixed income and FX being made available to investors. An uptick in volatility across many financial markets into 2015 has also propagated substantial inflows, which the aforementioned companies feel will steadily result in the increased move to Short & Leverage ETPs. “Investor confidence in S&L ETPs is largely due to their high level of transparency, the regulatory standards they need to meet,” added Ben Thompson, Director, Business Development, Societe Generale Listed Products, in an accompanying statement. “UK investor demand for increased choice of ways to make high conviction trades with confidence is real and growing. Currently, the total global AUM of short and leverage ETPs stands at US$61.7bn (as of 28 February 2015), an increase of 0.5% from the end of January 2015. Increasingly S&L ETPs are becoming the leveraged product of choice,” noted Hector McNeil, Co-CEO of WisdomTree Europe.